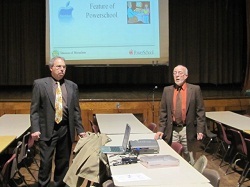 Parents attending the Thursday, February 24th Family School Assn (FSA) meeting, were introduced to a new program called PowerSchool. PowerSchool is a database application that uses the internet to facilitate student information management and communication among the school administration, teachers, parents, and students. 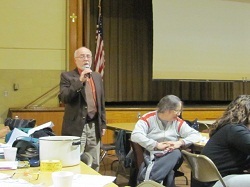 Mr. James Masucci, Technology Coordinator for the Diocese of Metuchen, was the guest speaker. Mr. Masucci delivered a half hour power point presentation introducing the various ways that PowerSchool can help individual student academic progress. 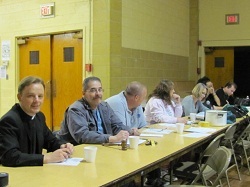 After viewing the presentation, parents were issued a password that allows access to view messages or test grades for their student.